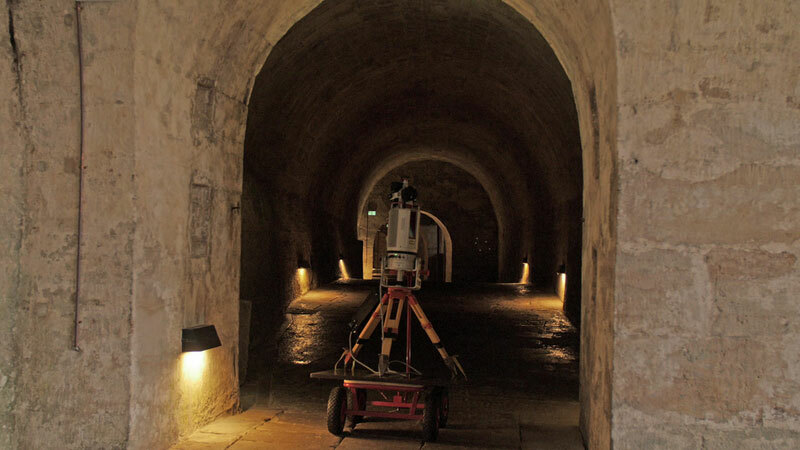 3D survey and digital reconstruction of a fortress as well as producing of an exhibition film. “IN LAPIDE REGIS – On the King’s Stone” Elaborate 3D multimedia production for the new permanent exhibition! The new permanent exhibition is celebrated as one of the fortress largest and most important exhibitions in its history. Exclusively for this show ArcTron 3D, a company stationed near Regensburg, Germany produced an elaborate multimedia film production, enriched with high-quality 3D animations. 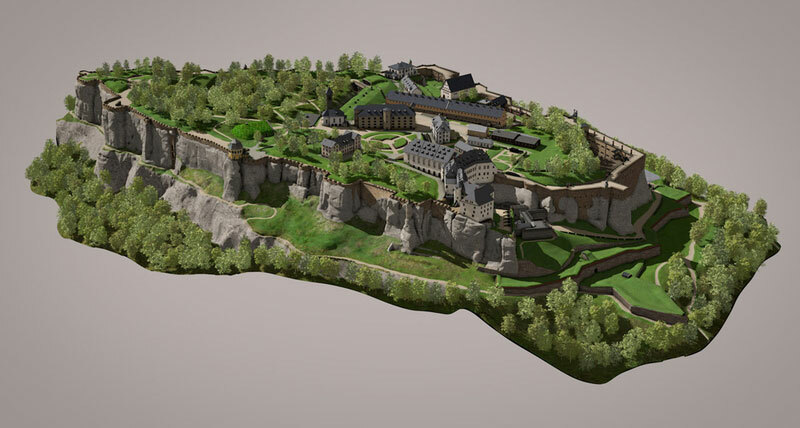 Using advanced airborne and terrestrial 3D technology, ArcTron’s heritage specialists created a refreshing documentary about the history of the fortress Koenigstein in less than 9 months. This production is a mixture of a classic style documentary with real scenes being filmed on location as well as digitally created 3D models and virtual scenes. Filming took place not only in and around the building ensemble on the Königstein. 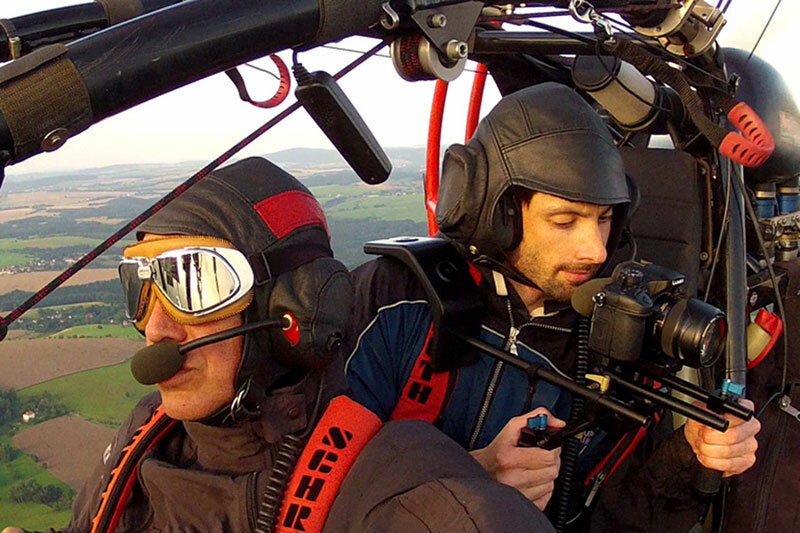 Spectacular scenes from the air were captures using an ultralight para-trike. While with “Abseiling” some stunning close-up sequences were achieved. 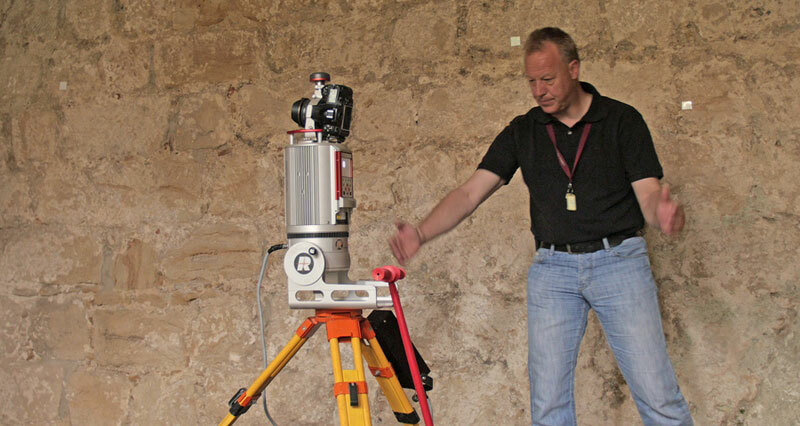 3D surveying data was the basis for all 3D reconstructions. The precise 3D as-built documentation was carried out by ArcTron’s surveying team using advanced 3D measurement technology. 3D film specialists and archaeologists worked together during the integration process of feeding digital content into the coordinated 3D animation systems. These included reconstructions of the geological changes as well as the numerous historical phases of the famous fortification. The love is in the detail – as subtle 3D effects adorne the historical material of the fortress. While using split screens and multi-dimensional layers the information is presented as modern and entertaining informational content. 3D laser scan data served as basis for the accurate 3D reconstructions. The data was supplemented with original historic building plans. With this blend, the film conveys the impressive history of the rock formation in a diverting and educational way. 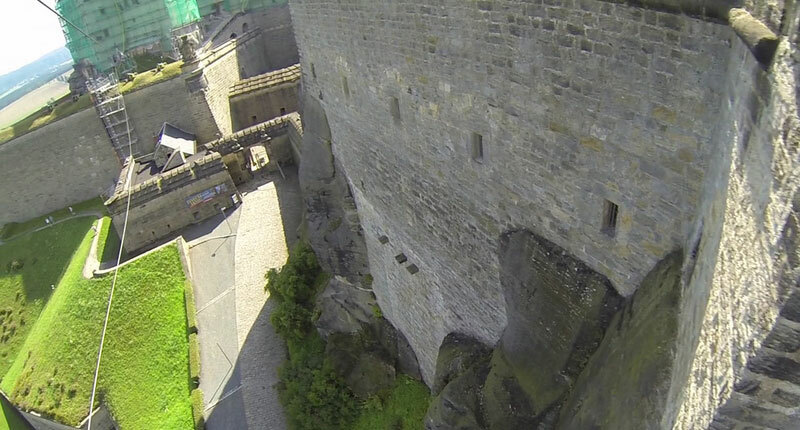 It shows the numerous alterations and changes up to the current building stock of the fortress Koenigstein.